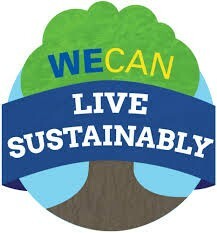 Sustainable living is a lifestyle that attempts to reduce an individual's or society's use of the Earth's natural resources and personal resources. People can achieve this by reducing their carbon footprint by altering methods of transportation, energy consumption, and diet. I could do everything but the transportation because i couldn't drive a smart car or an electric car. Renewable resources can be remade and reused. 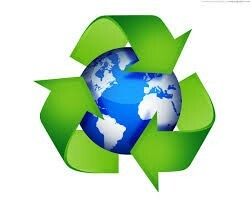 If you use the renewable, they can be remade and reused which makes the Earth more green and less polluted. What does it mean to recycle? Why should someone recycle? Because we don't want to use all of the materials on the Earth up. How long does it take for these to decompose? k. Did any of these surprise you?- Apple core. I thought it would be a shorter amount of time. 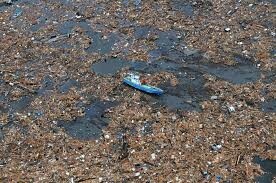 The "garbage patch" is a popular name for concentrations of marine debris in the North Pacific Ocean. Quit dumping into the ocean. 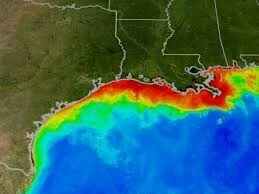 The hypoxic zone in the northern Gulf of Mexico is an area along the Louisiana-Texas coast, where water near the bottom of the Gulf contains less than 2 parts per million of dissolved oxygen, causing a condition referred to as hypoxia . Fertilizers and chemicals cause this. Put the fertilizers down in a spot where it doesn't run off. A species on which other species in an ecosystem largely depend, such that if it were removed the ecosystem would change drastically. The inevitable elimination from a habitat of one of two different species with identical needs for resources. a. Coexistence- Policy of living peacefully. 1. Married couples. 2. Friends living together. b. Parasites- An organism that lives in or on another organism (its host) and benefits by deriving nutrients at the host's expense. Fleas, tapeworm. c. Mimicry- the action or art of imitating someone or something, typically in order to entertain or ridicule. Snakes and catepillars. d. Mutualism- The doctrine that mutual dependence is necessary to social well-being. Flower and bee. The series of processes by which carbon compounds are interconverted in the environment, chiefly involving the incorporation of carbon dioxide into living tissue by photosynthesis and its return to the atmosphere through respiration, the decay of dead organisms, and the burning of fossil fuels. It increases the amount of carbon dioxide and lowers oxygen. Tiny particles that are released when fuels are burned cause global dimming. Like global warming, this process may change rainfall patterns around the world. The amount of sunlight reaching the Earth's surface has decreased by about 2 per cent every ten years, because more sunlight is being reflected back into space. Because we are losing daylight slowly. Because we are trapping more carbon dioxide in the Earth. A species of animal or plant that is seriously at risk of extinction. Black Rhino. It becomes endangered when the population decreases and the animals aren't reproducing. Our Earth would be affected if it was a Keystone species. Human should care because animals are a crucial part of the world whether its food or pest reduction. An organism (plant, animal, fungus, or bacterium) that is not native and has negative effects on our economy, our environment, or our health. The Rainforest are being cut down and used for resources for humans such as housing or recreational. If they would all be cut down, then the amount of oxygen would decrease majorly and the amount of carbon dioxide would increase. Causing a worse Greenhouse Effect. It would make us humans to use up all of the resources needed to survive. Heat, Water, Food, and Shelter. It kills species that could actually be useful to humans. If something dies off that is actually useful and we don't realize it, then we are in serious trouble. It will be a more modern world, and there will be very few trees and very little animals than we had back in the day.